Matrix / Runout (Runout side A): INT 506 A1 Metropolis Mastering Chicago M.J.R. Matrix / Runout (Runout side B): INT 506 B1 M.M.M.J.R. This has some really good production work on it. My favorites are "Spring Time" and "Act a fool tonight". Solid work by TP as is to be expected. 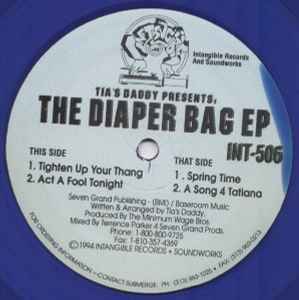 Terrence Parker has produced the track "A Song 4 Tatiana" for his daughter Tatiana.